“Last month, I graduated with a Bachelor of Commerce from the Ted Rogers School of Management at Ryerson University. Throughout university, I was involved in several non-profit, student-led organizations such as social entrepreneurship group, Enactus Ryerson, and Ryerson Women in Leadership (RWIL). My student-group activism built a solid foundation for my professional career, and developed my skills in taking initiative, time management, teamwork, and adaptability. 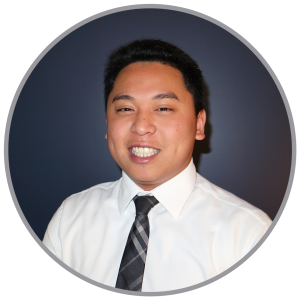 “My time with Enactus Ryerson – my first involvement – taught me the different functions within an organization and the importance of departments working cohesively within a team. I assumed a leadership role as team manager for our marketing street team, leading a group of 12 student representatives. Joining the team created that important foundation for the start of my professional development throughout university. I created and scheduled marketing campaigns, formulated event pitches, and motivated my team. I was forced to leave my comfort zone, which enhanced my teamwork, project management, and time management skills. 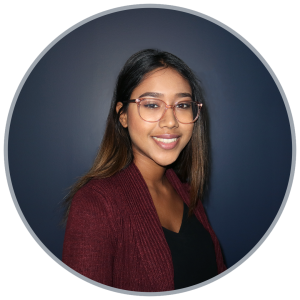 “I continued advancing my professional skills in project management, leadership, and teamwork by joining Ryerson Women in Leadership as a conference associate. The highlight was seeing the 2018 Annual Conference – with over 180 delegates, industry professionals, and speakers across Canada in attendance – come to life after months of planning, organizing, and coordinating. I took further initiative, acting as moderator which enhanced my public speaking skills. “As a recent business management graduate from Ryerson’s Ted Rogers School of Management (TRSM), I engaged in extra-curricular activities through student-run organizations. During undergrad, I took on leadership positions with the Ryerson University Finance Society (RUFS) and the Human Resources Student Association (HRSA), holding positions in marketing and corporate relations. In my final year, I served as HRSA President. “My time with RUFS was the stepping stone for my professional career. I learned how to be a team player, working with a club to acquire sponsors, and how to be a professional, becoming comfortable in a suit and attending formal occasions. Thrown into the fire, I stepped outside my comfort zone, learning how to network with industry professionals. My time with RUFS helped me understand student group culture and taught me the values of finance. As an HR student, I brought what I learned from RUFS to HRSA, where I grew into a leadership role and became the face of TRSM’s HR program. “I continued developing my skills in public speaking, personal branding, teamwork, and communication. In my final year, I tested my student group experience and HR knowledge. I hired a team of 22 executives, monitoring corporate relations, finance, marketing, and event planning, and organized 12 events for more than one thousand HR majors and minors. The highlight was orchestrating the largest three-day undergraduate Organizational Behaviour Case Competition in Canada. I secured 11 universities, hosted 30 industry professionals, and acquired more than 10 sponsors.